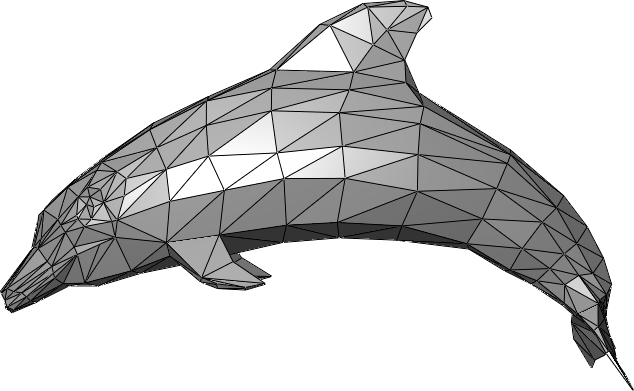 This polygon mesh representing a dolphin would be considered low poly by modern (2013) standards. Es ist Freitag. Ich fahre jetzt nach Hamburg. Bis später.